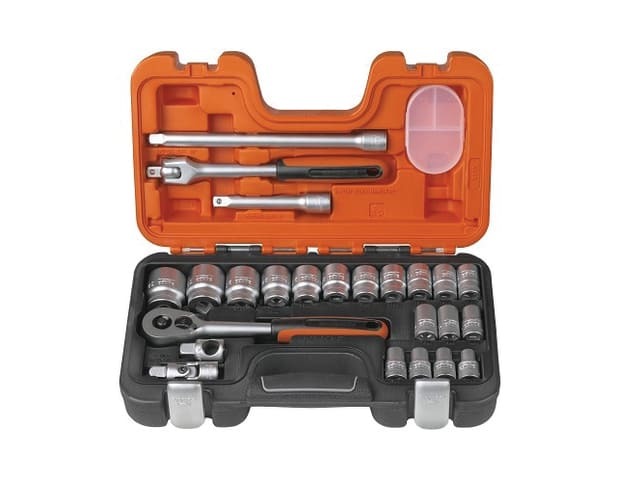 The Bahco S240 1/2in Drive Socket Set contains sockets made from high-performance alloy steel. With a Dynamic Drive™ profile to protect the sockets from wear and damage. Supplied in an oil and temperature resistant polypropylene case. Conforms to DIN 3120 / ISO 1174.